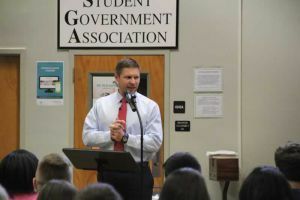 Get outside your comfort zone was one of the life lessons former U.S. Navy SEAL Kevin Lacz shared with Pensacola State College students on Wednesday. A New York Times bestseller, “The Last Punisher” is Lacz’s first-person account of his tour of duty with SEAL Team THREE during the Iraq War. Lacz also appeared as himself in “American Sniper,” a film loosely based on the memoir “American Sniper: The Autobiography of the Most Lethal Sniper in U.S. Military History” by Chris Kyle. Kyle became the deadliest marksman in U.S. military history with 255 kills from four tours in the Iraq War, 160 of which were officially confirmed by the Department of Defense. A Connecticut native, Lacz joined the U.S. Navy after college proved to be more challenging than he anticipated. “I had aspirations of becoming a doctor and was the first person in my family to go to a four-year university,” said Lacz of his time at James Madison University where he claimed his cumulative grade point average after three semesters was worse than Nolan Ryan’s batting average in 1981. 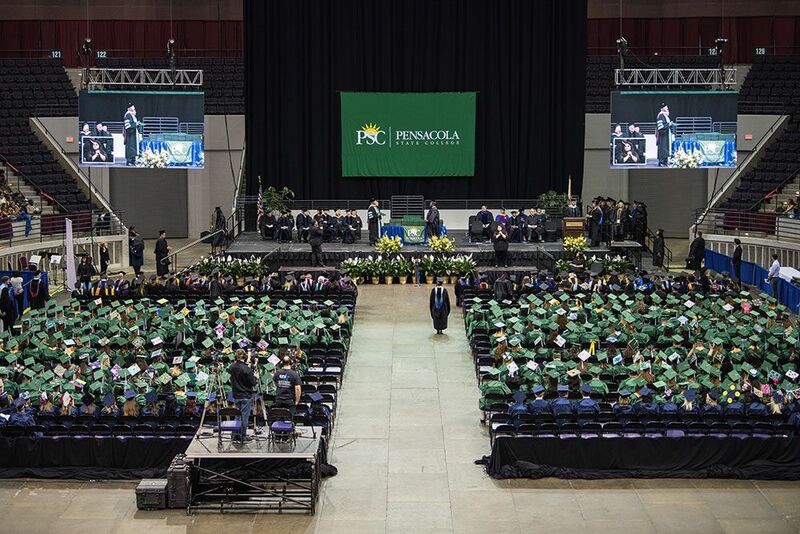 “I drank, partied … did not go to class,” he said of his first semester of college. “During the second semester, my grades tracked up and after third semester, I was still considered a freshman. The fourth semester, I made a commitment to do better but things changed,” he said, noting that change was the terrorist attacks on Sept. 11. Lacz lost a close family friend and mentor in the World Trade Center. “I felt like I was at a crossroads,” he explained of his emotions. Not long after, he joined the U.S. Navy because he wanted to be a Navy SEAL. “I realized joining the Navy was the first real risk I had taken – that was a Eureka moment for me,” he remembered, noting SEAL training is extremely difficult with 85 percent of recruits washing out. However, Lacz persevered because he said he learned being successful was a mental lesson. He also encouraged them to be leaders through experiences. “Leadership is not a course you can take, you learn it through experiences,” he added. After leaving the military, Lacz earned his bachelor’s degree at the University of Connecticut and his master’s at Wake Forest University School of Medicine. He is now a physician assistant with Regenesis LLC. Breonna Lowe, a freshman cosmetology student, said Lacz’ presentation was encouraging and enlightening. During a question-and-answer session, she asked Lacz about post-traumatic stress disorder. Lacz responded he did not suffer from PTSD but believes those who do can be productive with proper care.